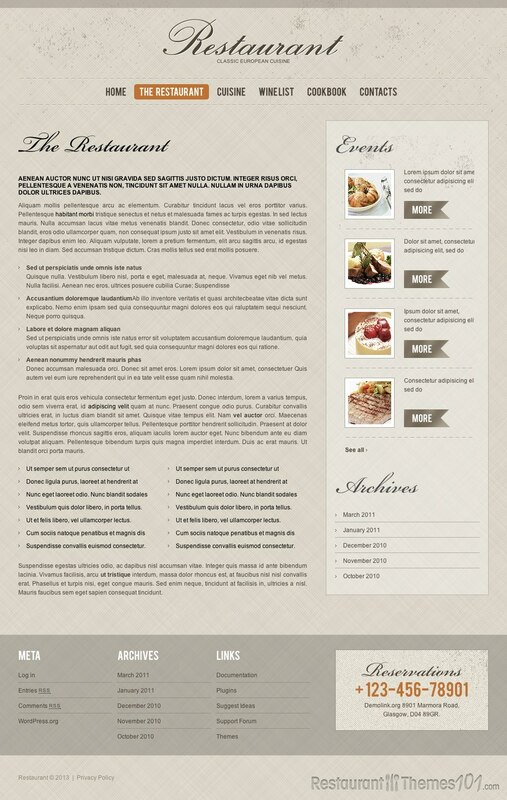 Restaurant is a WordPress restaurant template created by Mercury and featured at Template Monster. 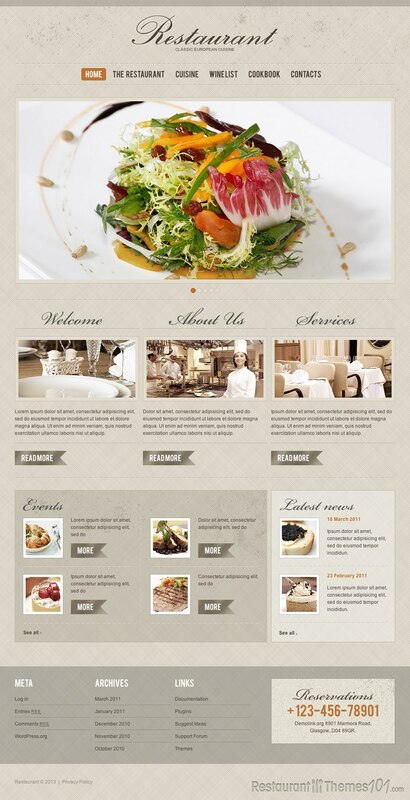 The theme has a very unique style that is specially created to make your website interesting and appealing to your visitors. The theme has a light set of colors beautifully put together. The homepage features a big slider with huge photos of colorful food that looks absolutely delicious. This slider is here to instantly grab the attention of your visitors and keep it on your tasty looking delicacies. 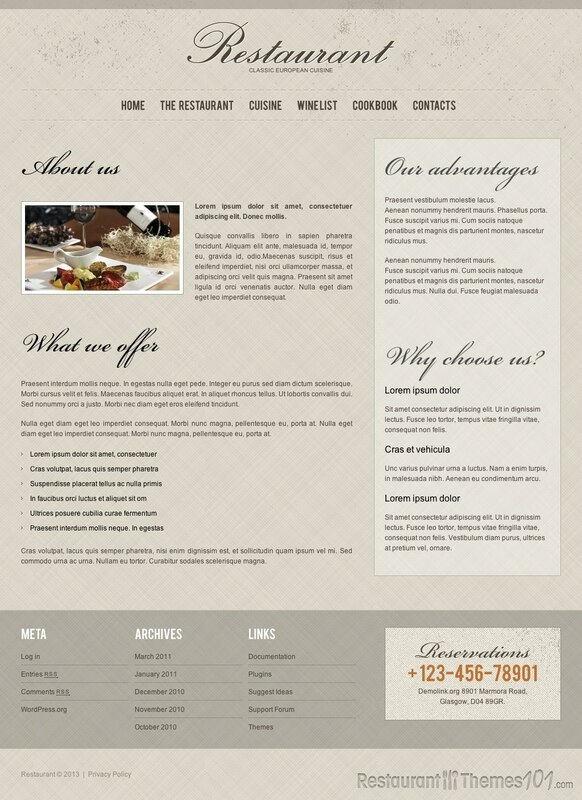 The main menu of this template contains 6 different areas: home, the restaurant, cuisine, wine list, cookbook and contacts. 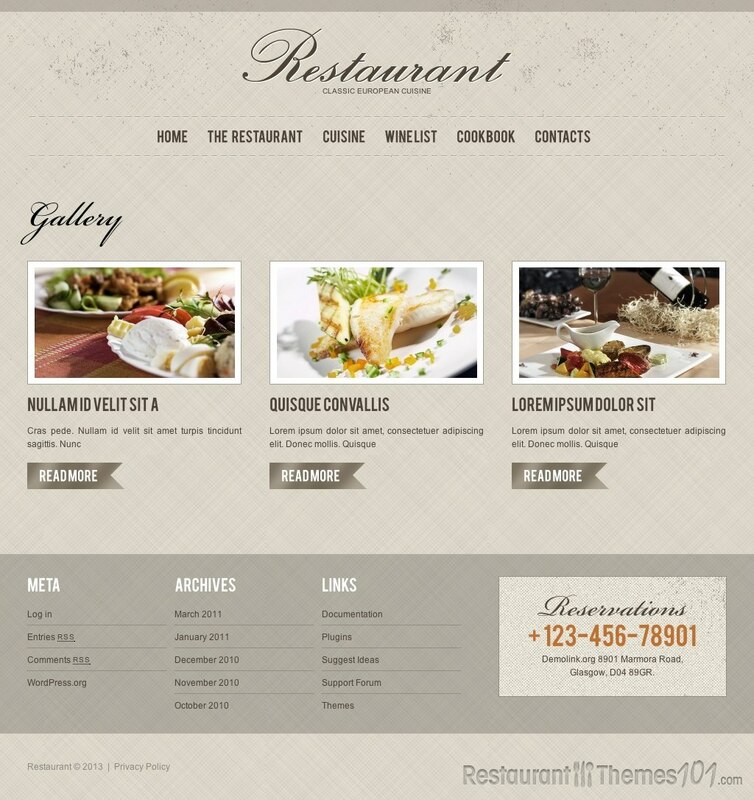 The restaurant section opens up a drop down menu where you can place your services, events, gallery and delivery. The cuisine section is reserved for you to represent your cuisine and write anything you’d like about it: its origins, a few words from your chef etc. When it comes to the menu, it is separated from the wine list so you can freely create your own wine list where you can focus on your finest wine. 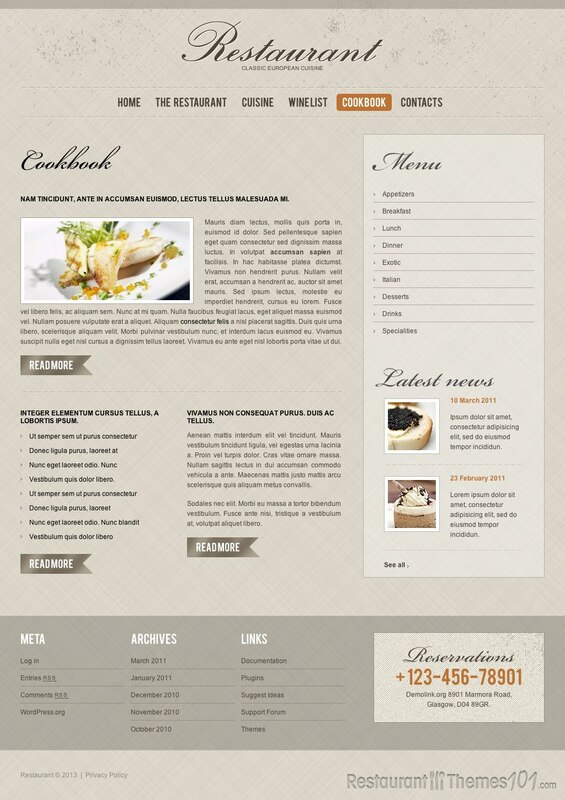 The cookbook section is there for you to create a menu which can be easily categorized. 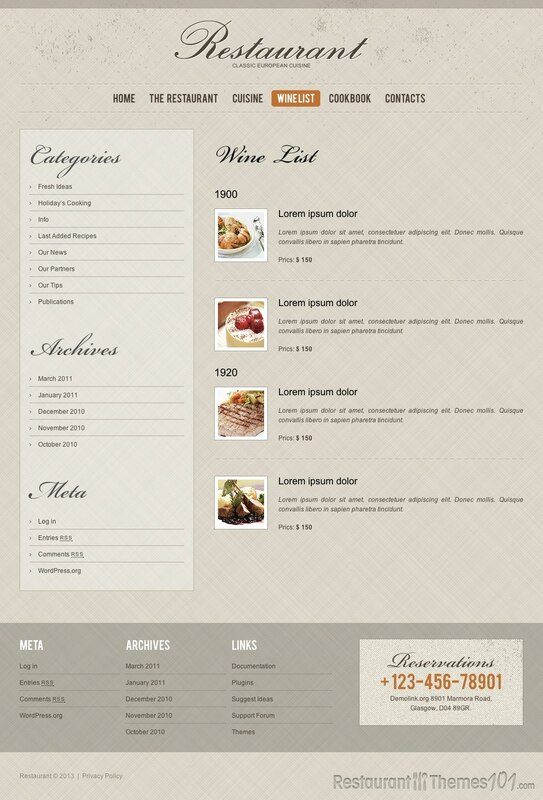 You can add photos of your dishes and add details about the preparation along with full recipes. 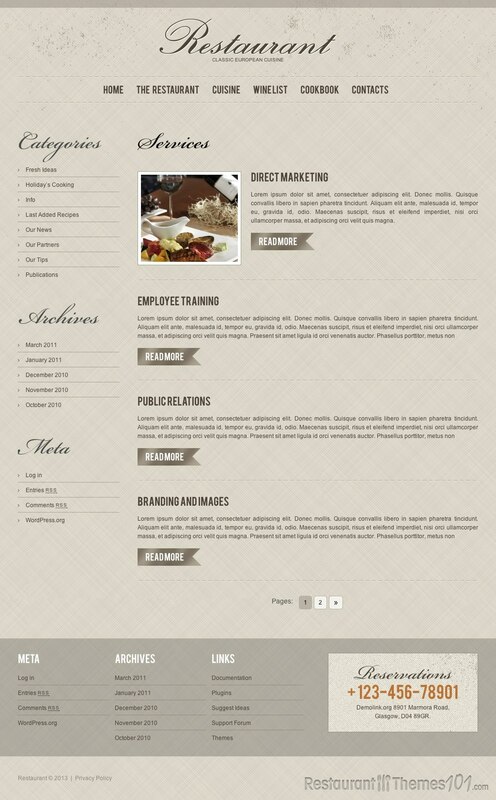 You can also create events and present them to your visitors. Adding photos and details about the events is very easy. 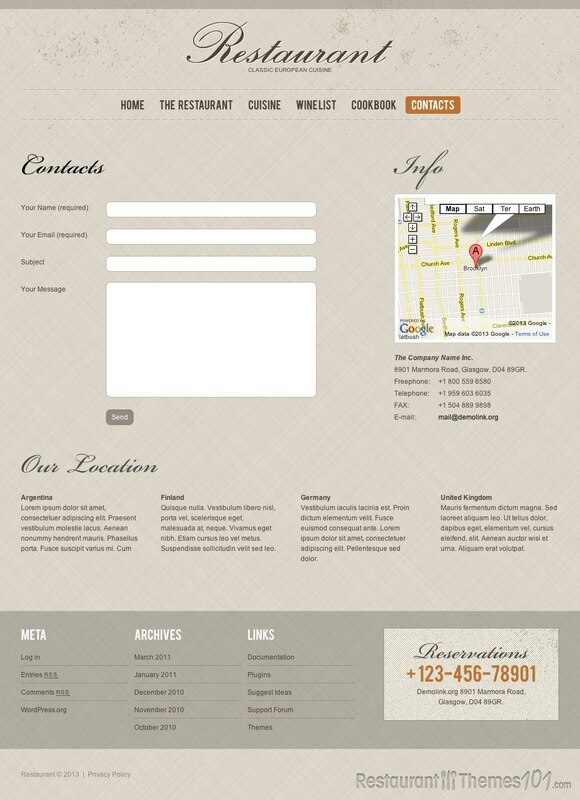 The theme features a nice admin panel which will help you run your website as easy as possible. 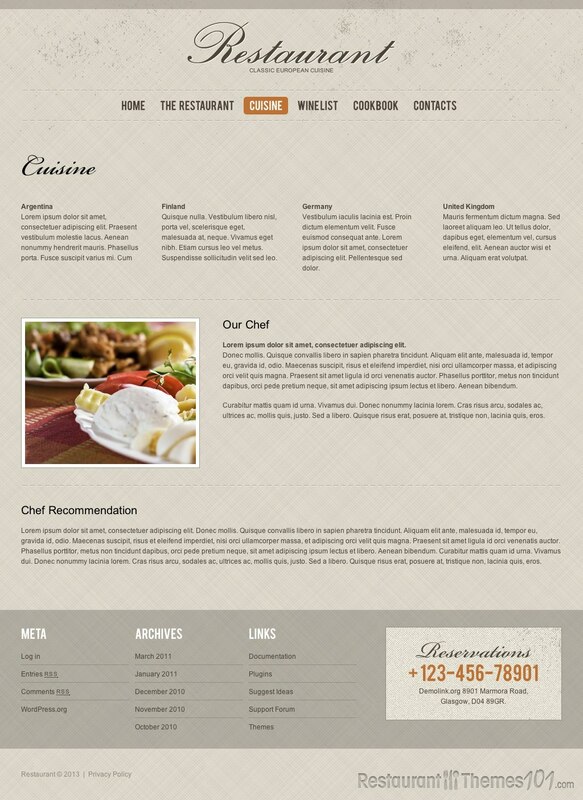 The Restaurant theme comes with PSD files included and it is fully widgetized. It is possible to purchase this theme normally, as a single theme, or you can choose out of the nice bundles packed together, that come with extra options like installation, hosting, and more.